The wonderful animator Joan Gratz will give a talk at the Minshar School of Art, today, May 1, 2018, at 18:30. 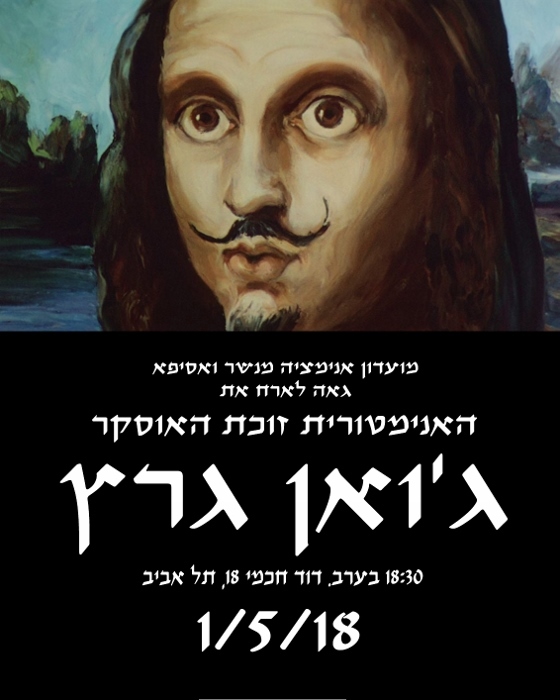 The address is David Khakhami St. 18, Tel Aviv, in the auditorium, and admission is free. Gratz’s Mona Lisa Descending a Staircase (1992) won the Best Animation Short at the 1993 Academy Awards. The 7-minute film recounts the development of modern art through the images of 55 famous works of art, rendered in her technique of clay painting.